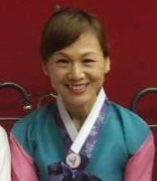 안녕하세요, 김정완입니다. 꾸준히 방문해주셔서 감사드립니다. Hello. I am Wan. I don't know who you are but I know where you are. Thank you so much for visiting. .